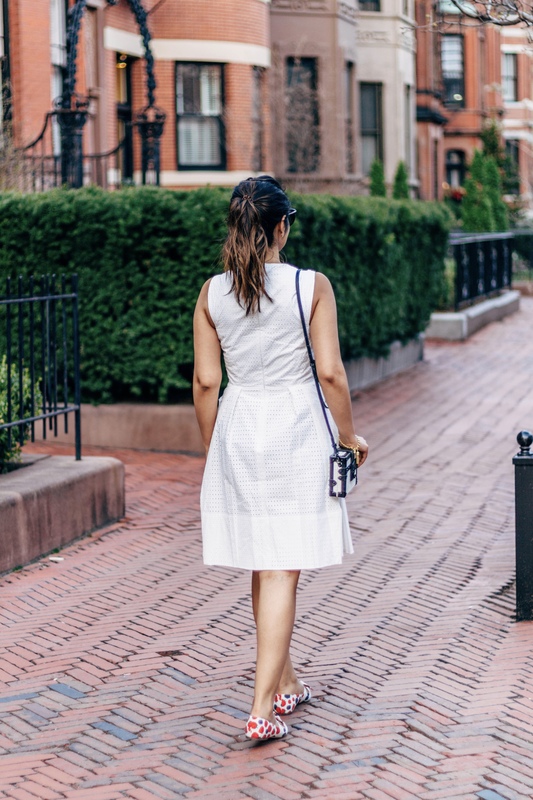 Now I know that a LWD is a summer staple and there is something timeless about a white ensemble but to keep it au courant I suggest picking one with interesting details like this little white dress with a cutout. 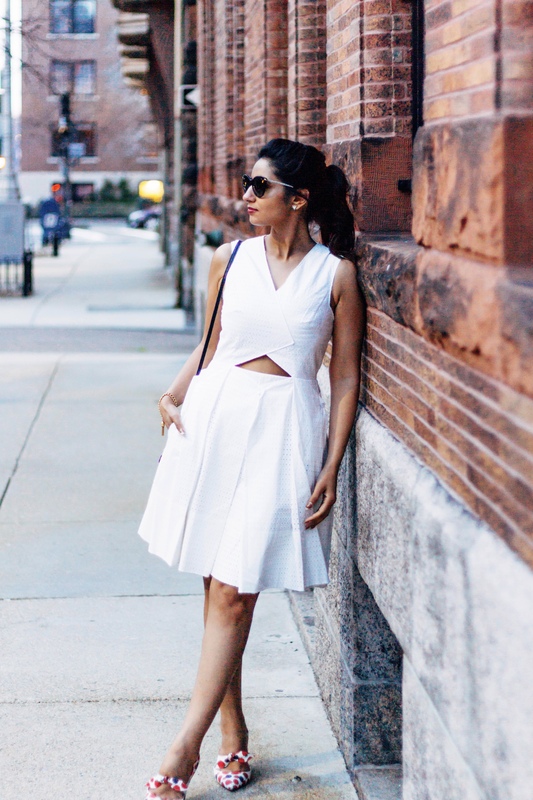 The cutout adds oomph to this simple white summer dress. Also, this eyelet dress has a pleated front perfect for that ladylike vibe. I paired these berry print tie front flats and a black and white clutch with the dress, tied my hair up in a ponytail and off I was for a stroll on this warm spring day. I scored this Tibi dress on a sale and its Out of Stock now but linked a few options below. Thank you for reading! Let me know what you think. Super cute & chic! White is one of the best parts of spring.